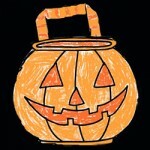 Make math fun with a pumpkin full of candy! This is a multi-skill activity perfect for kids in grades K-2. Color, count and graph the various candies in the pumpkin. Next cut the two sides of the pumpkin out and glue, staple or tape the sides together (back to back). Cut out the handle and attach. Click on the image below to view and print full size. 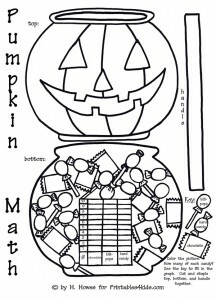 Don’t forget to check out all of our free printable Halloween coloring pages, pencil games and more and our large selection of original math worksheets.